Reap the benefits of belonging to a group while maintaining your independence. Independent pharmacies often face a variety of challenges, both on a corporate level with the continuous dominance of big companies in the industry and on operational level – where stock management and financial reports are at the order of the day. Corporate support (Marketing, Human Resources, Best of breed IT Support,Training, Finances). Innovative and scalable clinic services models. 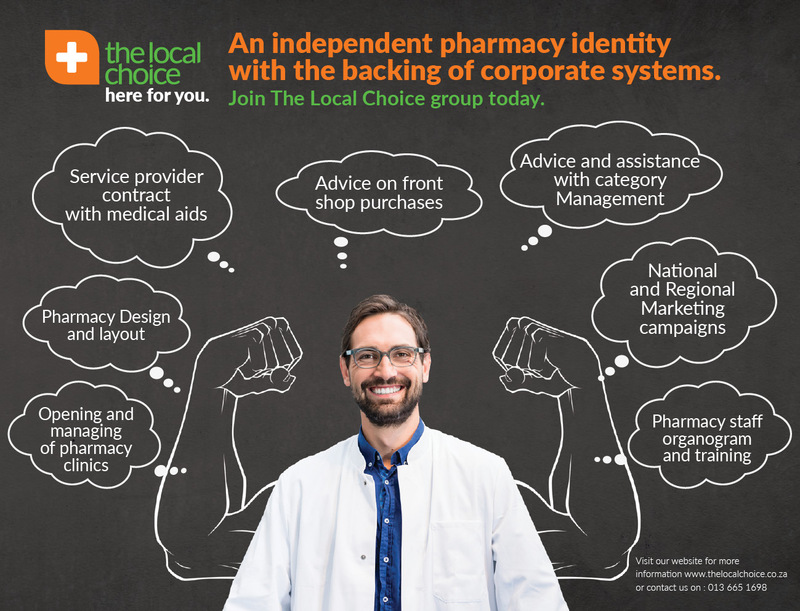 The Local Choice Pharmacy Franchise Group has developed options and systems to assist independent pharmacies with all of the above-mentioned areas. True to our motto of “here for you”, the team is continuously investigating competitive pricing structures and formularies, while encouraging learning and development, internally as well as externally. We as a franchisor are proud and privileged to be associated with our franchisees which are carefully selected. The reason for our fairly stringent and lengthy selection process is to ensure that we choose the right partner for our franchise – to the benefit of the corporate office as well as all the others franchisees in the group. It is also imperative that our brand is consistently applied, not only in the physical appearance of the pharmacy but also in the rendering of services and delivery of quality products. Are you in the pharmacy every day? Do you have a CJ Distribution Wholesaler account? Do you have a vacant site available? Did you apply for a pharmacy licence yet? Will you be the responsible pharmacist in the store? Did you sign a lease agreement? Do you have funds available for your new venture?